However, for the time being, the service is limited to certain banks and account types only. For details on kindly refer to list of Participating Banks. 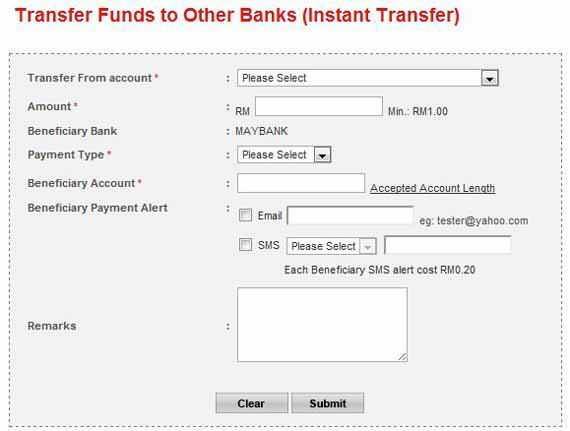 Step 1 – Click on Fund Transfer Menu & you will have the screen as below. Select Instant Transfer. Step 2 – Key-in all the required details mark as (*) and click on submit button. Beneficiary name is not required. Step 3 – Check all the details as per screenshot below. 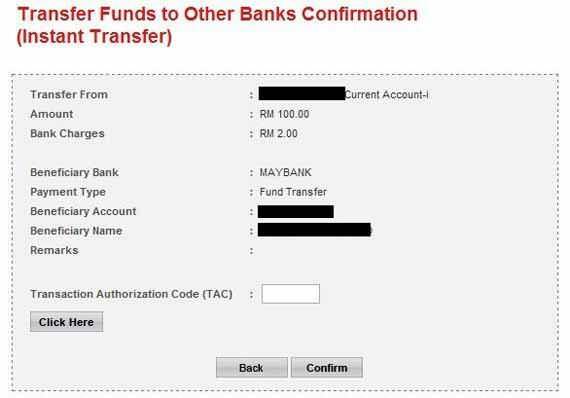 Confirm that the beneficiary name is correct prior to confirming the fund transfer. You have to apply for TAC to complete the transaction. 1. 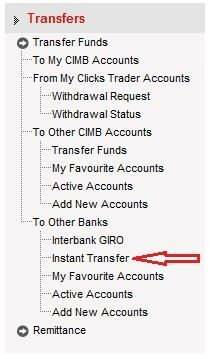 CIMBClicks Instant Transfer page. 2. List of Participating banks.